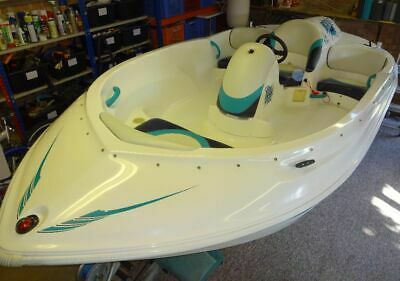 Fletcher jet boat 120hp with trailer and boat cover. This boat is my fathers who purchased it approx 2 years ago for around £5k, he has kept it garaged during his ownership and has only used it once on the Norfolk broads. I don’t know a huge amount about it but I will try to get any answers to your questions from him. Boat is around 15ft long and 6ft wide and with trailer is around 17ft. Very clean well looked after example perfect to enjoy this summer.